Located in Mirny, in Eastern Siberia. 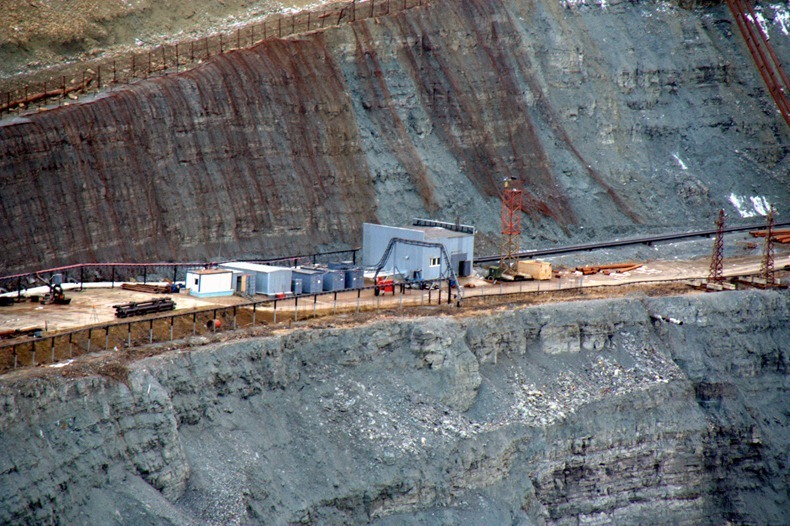 At the time of its closure in 2004, the mine reached a depth of 525 meters and 1,200 meters wide, making it the second largest excavated hole in the world, after Bingham Canyon Mine. The hole is so big that the airspace above the mine is closed for helicopters because of incidents in which they were drawn downward air flow. Mining began here in 1957, in extremely harsh climate conditions. Siberian winter lasted seven months, which froze the ground, making it as hard as concrete. 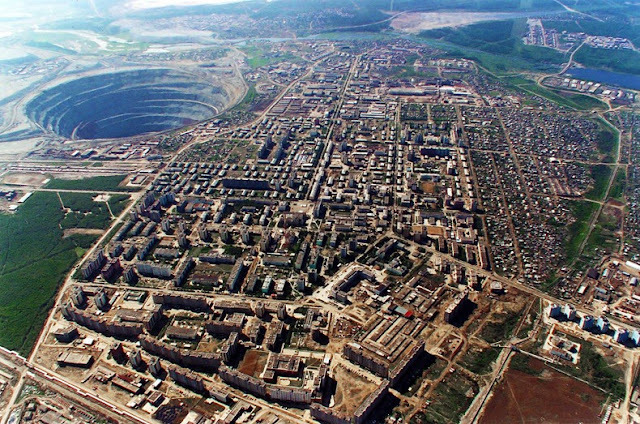 During the short summer months, the permafrost would have turned into mud, making the entire mining operations in swimming in a swamp. Buildings had to be raised on stilts so that they were not flooded in the summer. The main processing plant had to be based on solid ground, found at a distance of 20 km from the mine. Winter temperatures were so low that car tires and steel collapsed and the fuel freezing. During the winter, the workers used jet engines to warm the permafrost or blasted it with dynamite to access the main KIMBERLITES. All mine is completely covered at night to prevent freezing equipment. 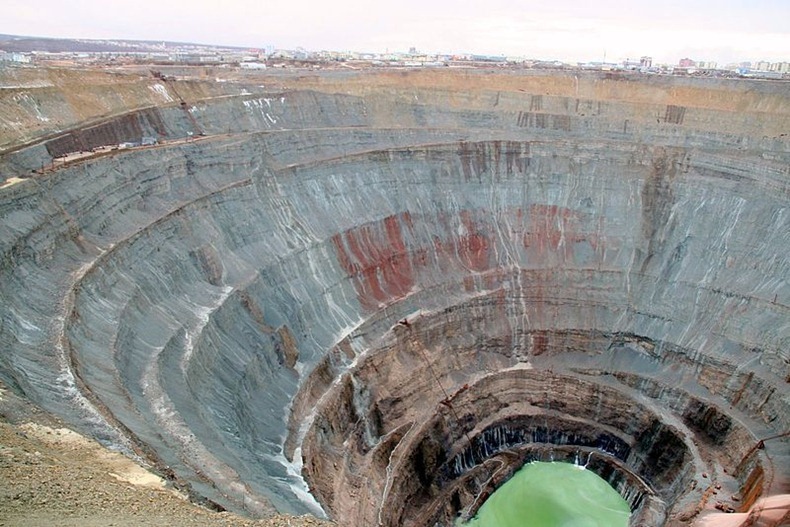 During the peak years of operation the mine produced 10 million carats of diamonds annually, of which a relatively high proportion (20%) had a quality gemstone. This care company De Beers, which at that time was distributed by the majority of diamonds in the world. 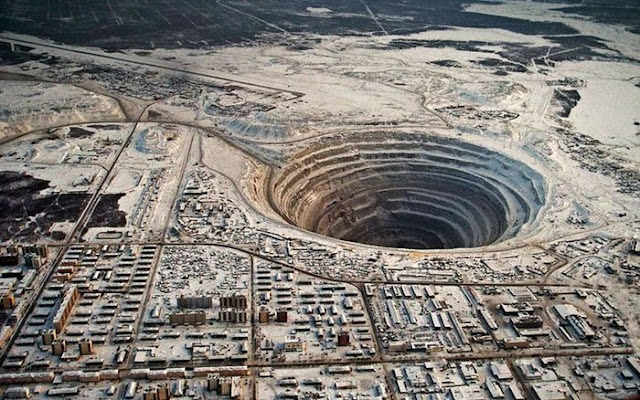 The company was forced to buy large quantities of high-quality Russian diamonds to control the market price. 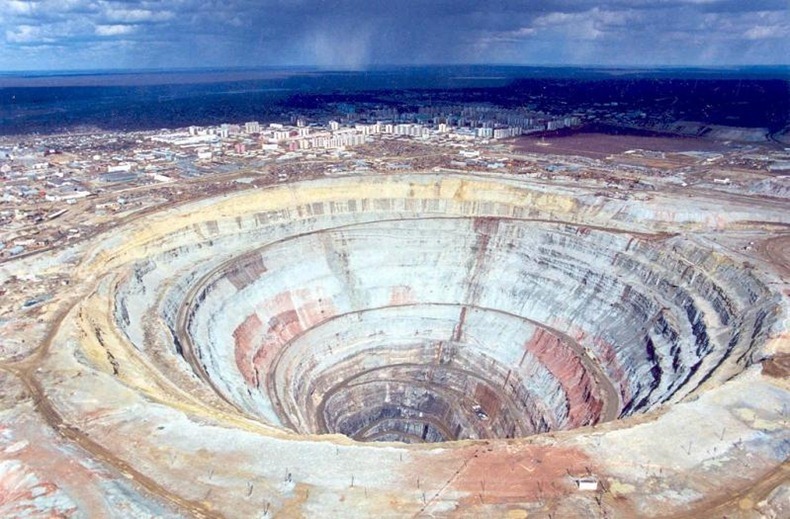 For De Beers mine Peace was mysterious and frightening mystery. Huge amounts of products were not compatible with the relatively small size of the shaft. By the 1970s, when the world was supposed to produce a smaller and smaller number of diamonds, the Soviets only increased the supply of the precious stone. Finally, in 1976, De Beer asked for a tour of the mine, to satisfy their curiosity. 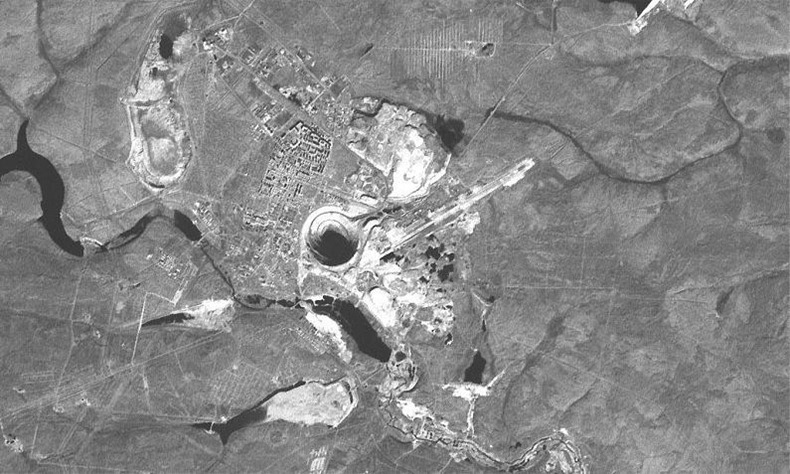 Permission was granted, but the Russian continued to delay the visit and the time the team reached the delegates of the mine, their visas have expired. They had only 20 minutes to visit the Peace. 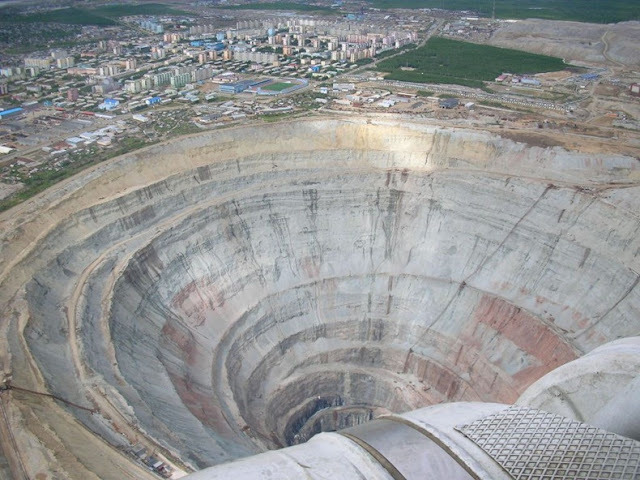 A visit gave nothing to shed light on the mystery of diamond production.